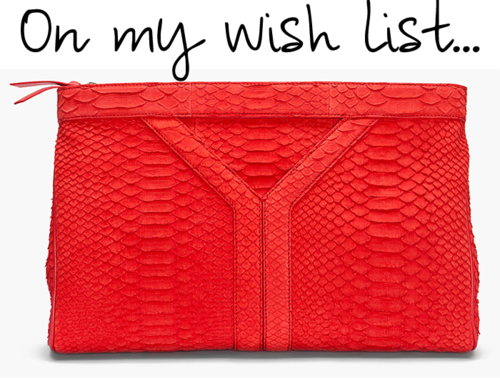 A loud, fearless exotic clutch like this magnificent one by Yves Saint-Laurent. Yeah, I’ll say it: I die. Click here to explore the rest of this masterpiece.